Whether you’re coming for a day or for a stay, let yourself be seduced by the quality of our catering and accommodation. The Green Cottage is surrounded by greenery where you can enjoy great walks and watch the stags and birds for hours. You’re coming with your family? Try out one of our team building activities and enjoy a great time with guaranteed happiness and laughter! In the mood for a barbecue or a 5 course meal? Enjoy a good night sleep after a busy day! 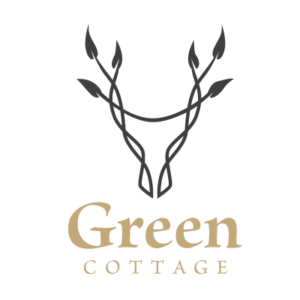 The Green Cottage is the perfect place for a green break, corporate retreats or family parties. Large business area for seminars, conferences, training courses or group activities. B&B with all the mod cons, perfect for a family break of a friend’s get-together.